It is easier than ever to buy ladders for all sorts of different jobs now. In fact, you can go online and purchase aluminum roof ladders that allow you to climb up to great heights. While this convenience is a great development, is also means that we all need to take responsibility for how they are used. Consider that 43% of fatal fall accidents involve ladders and it quickly becomes clear how important safety actually is. And even if a fall isn’t fatal, it can still be life-changing. To clean the gutters, paint their house, or change lightbulbs. To complete their trade, such as painting, carpentry, or electrical work. To complete general maintenance or stack goods in warehouses. The list is endless! But no matter how endless it is, and no matter why someone uses a ladder, safety must come first at all times. Stand on the ladder’s top step, it will make it wobble. Over-reach. If your belt buckle is outside of the ladder’s rails, you’ve gone too far. Walk the ladder (standing on it and moving it)). Place the ladder on unsuitable surfaces (slipper, wet, unstable, uneven). Use the ladder when under the influence of alcohol or drugs (including medication), while tired, or when injured. Forget about electrical wires. Aluminum ladders in particular conduct electricity and should not be used near wires at all. Make sure the ladder is completely open. Put the braces securely in place. Check the ladder is stable by wobbling it on the first step. Take all tools off the ladder’s top before you climb back down or move the ladder. 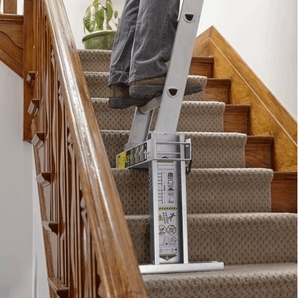 Check the ladder is suitable for your weight and that of the materials you are taking up with you. Ladders are incredibly useful tools that are used in many different trades, but equally by domestic users, especially when doing home renovations. And that is a good thing. They have enabled us to complete a wealth of jobs, and they have made people more independent as well. Imagine having to call out a tradesman every time there is a leaf stuck in the gutter, or every time you need a lightbulb changing! However, it is incredibly important to remember that ladders are trade tools and they have inherent dangers associated with them. You must respect that fact so that you can use the ladder in a safe and responsible manner that does not cause any danger to yourself or to others. Christmas spending can get totally out of hand, with the annual push for more, bigger, better. Time off work paired with the expense of parties, travel, and shopping at the grocery store for those special holiday meals doesn’t help matters. Take back control of the gift list with budget-friendly Christmas gifting ideas. Creative homemade gifts can be a great option for those on a budget. For best results, consider your recipient’s interests and tastes, and price out materials ahead of time. If you need the supplies for other tasks or you can reuse them for multiple gifts, you’ll save more money. Dollar stores and some secondhand shops or thrift stores can also provide crafting supplies inexpensively enough to make DIY gifting practical. This is a great option for creative, artistic people with good hand-eye coordination, lots of patience, and some proven skills. If you’re new to crafting and DIY, make sure that you give yourself lots of time to work on the gifts, and that you have extra materials on hand to make up for any false starts, and be realistic about the complexity of projects. Homemade gifts can range from cute, simple everyday items decorated to a friend or loved-one’s taste, to impressive efforts in bespoke customization. Joke or gag gifts can provide big fun on a budget. Since many of these are inexpensively mass-produced, their value comes from the response that they can elicit. Pick up on inside jokes, established interests, and styles of humor to find the right gifts for those on your list. Consider the probable audience in the room when it’s opened – adult humor can be great fun among friends or mature relations, but you don’t want to be scrambling to make awkward explanations in front of the kids on Christmas morning. Likewise, lowbrow humor will work better with the young and young-at-heart than those on your list with a more elevated or dry sense of fun. Like joke gifts, there are often a wide variety of mass-produced goods targeted towards fans of pop culture franchises across film, gaming, and comic media types. Look for character or branded goods that the recipient would enjoy or find useful. From wearables to purely artistic pieces, toys to character serving ware and themed peripherals, there’s something for everyone. You can blend this with a DIY gift if you’re artistically inclined. Vintage and second-hand shopping is an underutilized strategy in the budget shopper’s arsenal. Good for the environment, socially responsible, and deeply creative, finding the perfect gift in the post-consumer market is a treasure hunt for an unknown prize. You can go searching for one thing and find an even more perfect gift idea drop in your lap unexpectedly. 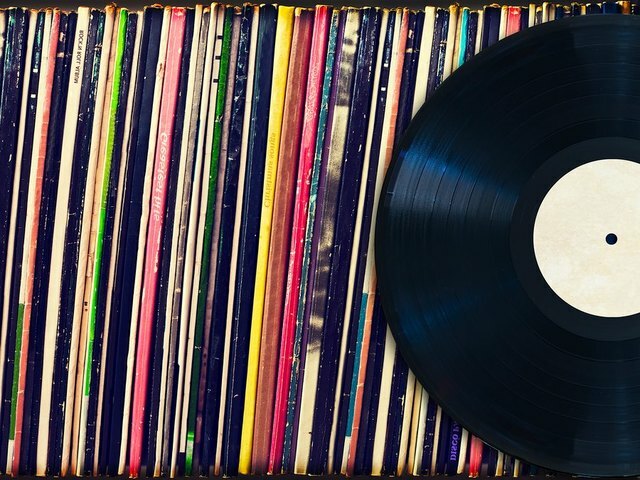 While true vintage can fetch high prices in discerning markets, you can often find incredible deals on surprising finds – and be sure to find unique gift options. Online markets such as eBay and Craigslist are another bargain-hunter’s dream if you know what you’re looking for. Simple, fun, and budget-friendly, a good book is a smart choice for any recipient. If you’re not sure about the literary taste of those on your list, browsing their social media for ideas or asking for a recommendation based on age or interests at the bookstore are both great approaches. Bookstore employees are generally book enthusiasts who have wide-ranging knowledge about trends and top titles across many genres and love to help you find the perfect bookish gift. Sometimes, the best budget gifts meet a need or supply a regular activity or interest. Keep things simple and elegant, or pull together a box of fun goodies with a theme. 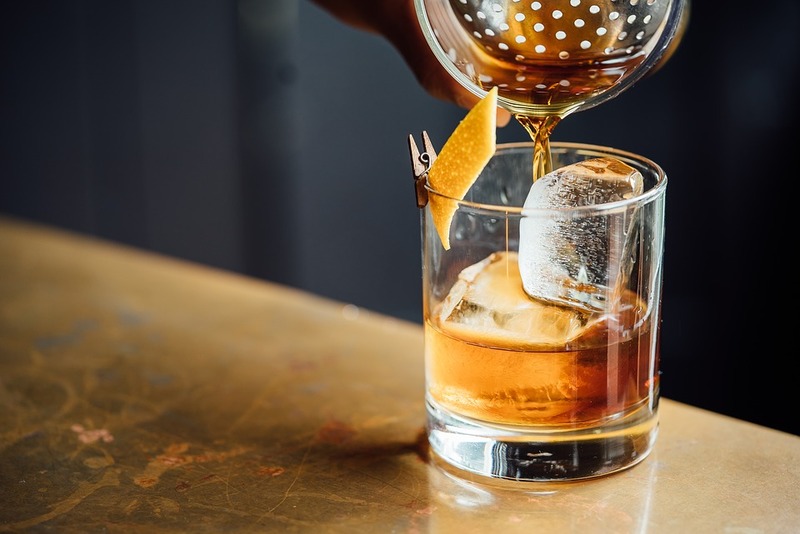 Perennial favorites for adults can be barware such as whisky glasses or whisky tumblers, a cocktail shaker, a wine decanter, or home décor such as a new decorative pillow or throw blanket in the recipient’s preferred shade, pattern, or style. For children, a selection of art and craft supplies or themed, age-appropriate small toys such as a collection of farm animals or dinosaurs can keep them busy and entertained. For teens, foundational or fun cosmetics don’t have to cost a fortune, and simple basics such as socks suited to hobbies, activities, or other tastes can go over surprisingly well. Pick up on a regular drink order with a new coffee mug, tea tumbler, or water bottle in a design that suits the recipient. Whether you’re a DIY master artisan or a thrift-store maven, these budget-friendly ideas are sure to help you breeze through your list this year. When buying downlights, you need to make sure that you choose a safe option. Downlights are generally used over an extended period of time. For instance, you use them in art galleries or museums. They highlight a certain object to make it clearer and more fascinating. The problem with ordinary downlights is that they easily get hot. They also require more electricity to fully function. Worse, you have to keep replacing them since they only have a limited lifespan. Hence, LED downlights are now more popular. At first, they did not really catch on because the light produced was not as bright as traditional downlights. Eventually, better LED downlights were created. It takes several LEDs to create such a bright light, but it still works. Of the downlights available, choose one that is GU10 rated. This means that it is a safer option. It does not heat up easily. It is not a fire hazard. When you have bought the downlights, they have to be properly installed. 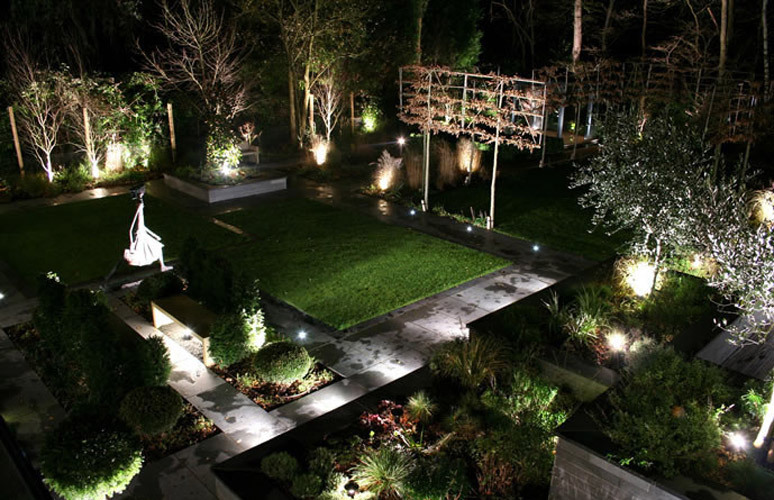 The performance of the lights depends on the heat generated by the LED. If heat is not well-managed during the installation, it could affect the overall performance of the downlights. Aside from choosing the right downlight, heat-sinking should also be considered. There is a metal device that you can buy which helps take the heat away from the LED. The correct voltage must also be considered. This is why you need an expert to make sure the installation is carried out safely and correctly. Otherwise, the lights might even end up exploding. In determining which LED downlight to buy, you need to consider its purpose. Where are you going to place it? How long do you want it to last? What colour do you want? While answering these questions, you will gradually filter the options until you end up with the perfect choice. LED lights change in colour over time due to the frequency of use and temperature. This should not deter you from choosing LED downlights though. You need to make sure you are getting a correctly rated GU10 LED bulb before paying for it. You might have a hard time looking for a GU 10 rated light in your local stores. But you can go online and start looking for the best choices. Once you have bought the right downlight, ask an expert to install it for you. Better yet, before you even consider buying one, consult an expert in downlights. You will receive guidance on which downlights to buy and how you can save money using them. It won’t take much time to get them installed if you choose the right person to help you. This is a fast, easy and creative way to create enough coat hooks for many guests that visit your man cave during the sports seasons. You can either go to your tool box or tool shed and find all of your old wrenches and use them. If they are rusty, make sure that you clean them and then you can either coat them some Rustoleum or shine them up and keep them as they are. Either way, put each one in a vice and bend it as much as you need to for it to be as near in half as possible. If this is too strenuous, take it to a local workshop and have it done. Then, find a space on the man cave wall, and use long screws to fasten them to the wall in a staggered formation. With so many flea markets everywhere, vintage is all the rage, and what better way to store your alcohol than inside a vintage piece of cabinetry. It gives the feel of the “old days” when you watched the games with your dad on the old black and white, and it gives a whole lot of space to store your alcoholic beverages without creating actual cabinets. Just remove the “guts”, put a formed piece of wood on the inside bottom of the television to cover any holes, and insert your liquor. Then hang small lights, like mini Christmas ones, on the inside of the television above the bottles and create a warm glow. This is one of the games that everyone knows from the show “The Price is Right.” You can make your own version to play either while you watch your sporting events, or as a separate tournament during the sports “off season.” The directions on how to make one and how to play are here. Pinball is still the rage with the updated versions that have 3D graphics and so many different themes that it will be hard to decide which one to buy! Take a consensus of your man cave friends and have everyone pitch in and buy the two most popular choices! You can choose from many of the Justice League characters, racing themes, various forms of hunting including bow and shotgun, and even retro classics like Donkey Kong. 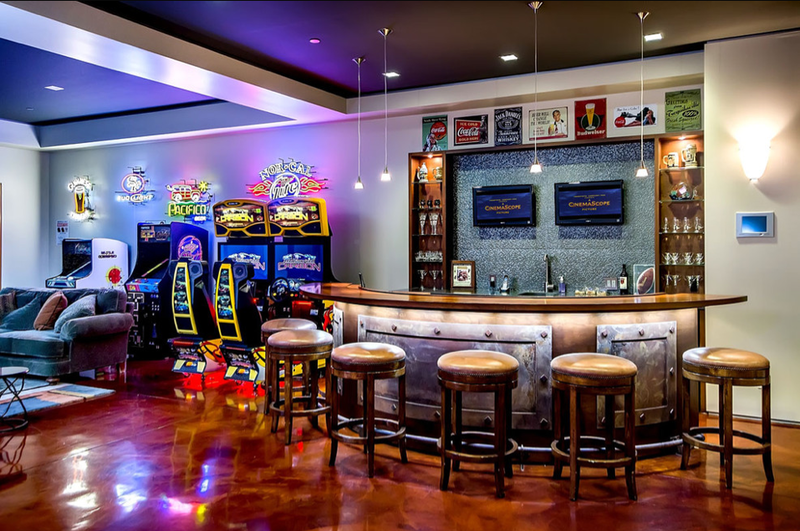 Here is a man cave DIY that you and the boys can do while you are watching the game it’s so easy! Take all the discarded cardboard beer holders and cut out the beer insignias on each one into a square that fits the same size as a square, coaster-sized piece of tile that you can buy at the local home improvement store. Then, brush some Mod Podge on the back of the cardboard and place it directly onto the front of the tile piece. Turn it over and let it dry for 20 minutes. Repeat this as many times as you have tile pieces and insignias. Then, repeat it again 2-3 more times for each tile piece until each one has at least 2-3 more layers of Mod Podge. When completely dry, affix felt adhesive strips to each back corner of every tile for non-skid use. Finally, put a top coat of clear acrylic finish on each one.